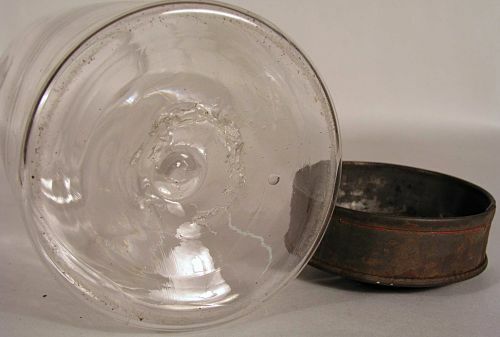 Wonderful early Apothecary or Country store glass jar with tin lid showing traces of original red paint. Nice condition with no chips cracks or other problems. 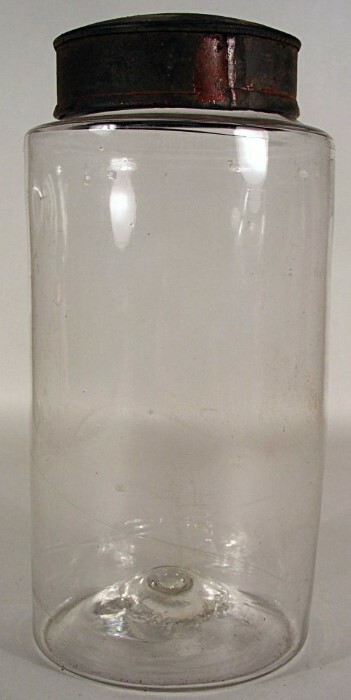 Dimensions: 8 1/4" Tall including lid.